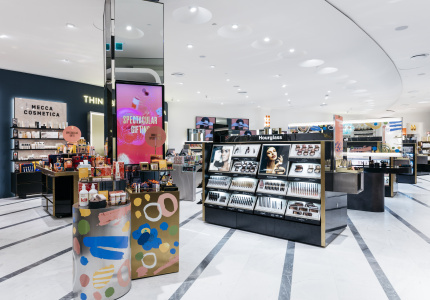 Complementing Fleur Wood’s signature store in Chatswood, the designer’s Paddington store is something of a destination space, pooling together Wood’s interests and inspirations into a considered collection of fashion, homewares and curiosities. 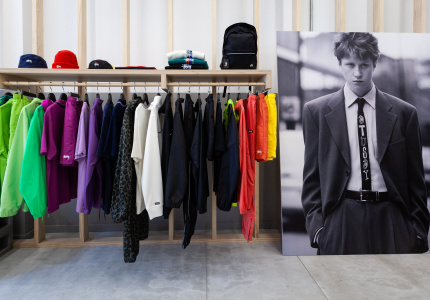 Items from Wood’s mainline collections are presented alongside vintage pieces and stylish basics and jersey pieces from labels such as Melbourne-based Primness. Statement jewellery from Elvis et Moi and Vicki Sarge sit alongside antique brooches in old cabinets and pottery by Shino Takeda Ceramics. 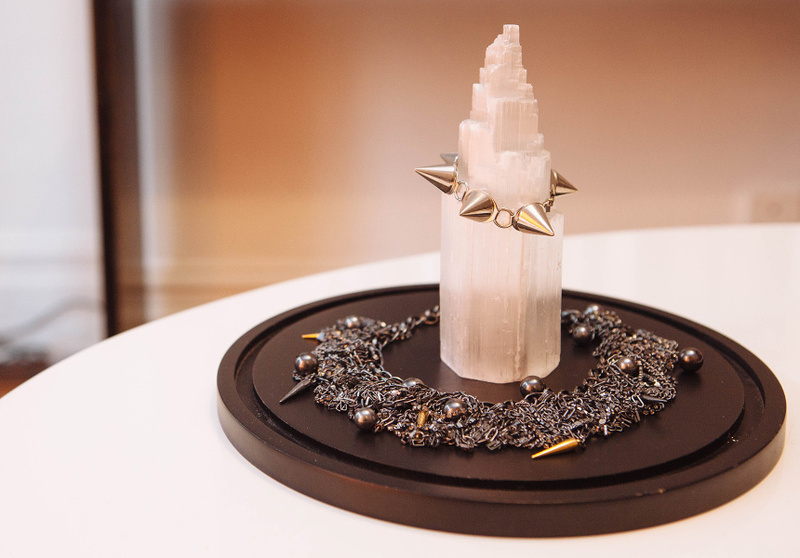 Fragrance by I Hate Perfume and stationery by Sesame Letterpress come all the way from New York. Selected books are on sale beside Wood’s own cookbook and style guide, Food Fashion Friends. 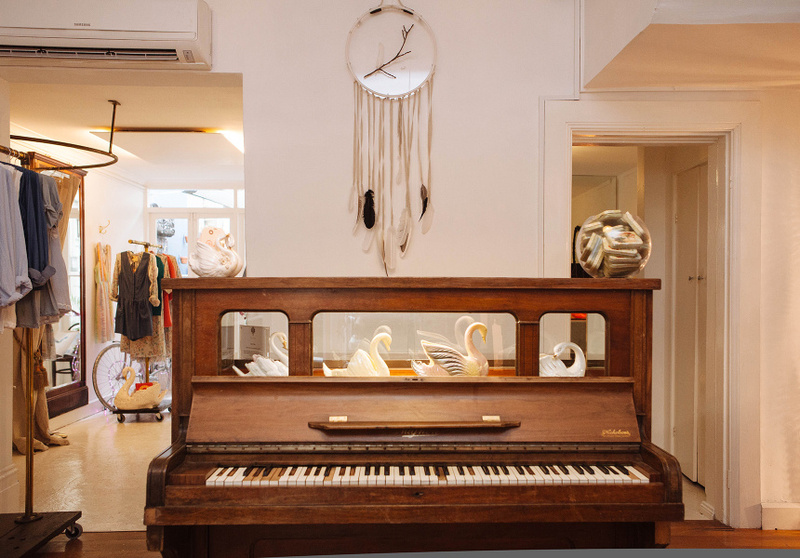 Pieces of ephemera found on Wood’s travels have been transposed to the walls and shop floor: framed vintage lace and gloves, a glitter bike and a defunct piano that doubles as the cash desk. 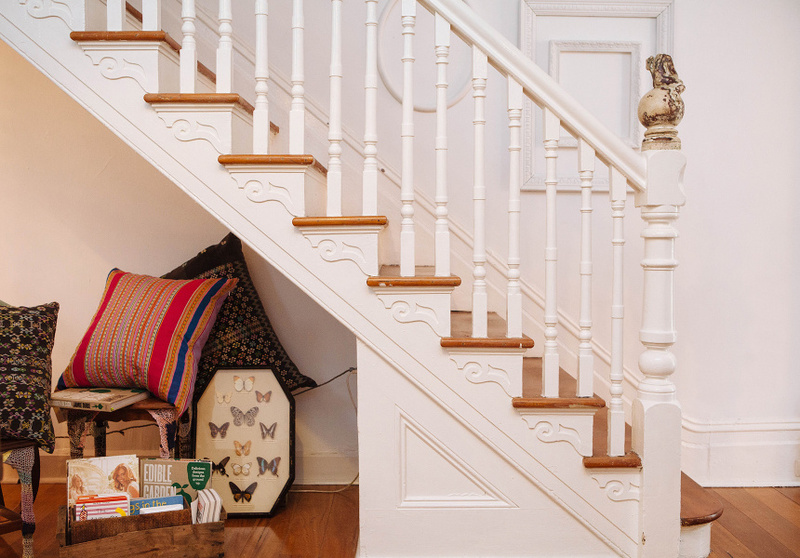 Cushions made by Wood’s close friend and collaborator, Kristina Ammitzboll, are available here exclusively – in a nook under the stairs. Each Friday, fresh flower bouquets are sold to passers-by. At the back of the store there is a sunny courtyard, which opens up to a workspace. The team hosts creative workshops in the summer months: from pattern making to screen-printing, mural-making and fashion illustration, inviting creatives from the local community to both run and take part in them.